In our efforts to grow our church we have set out to build a new worship center. During this process a greater need has been made apparent. Our sister church that we have been supporting in Honduras is in desperate need of a building of their own. Rather than settle ourselves into our building process and then tackle the needs of this sister church, God has laid it on us to build theirs first. A generous member of the community has stepped up and said they would match all donations to this cause until the end of August. Because why should we wait any longer? Let’s step up and make this building a reality for our sister church in Honduras. If you’d like to give please mark your donation “Honduras Building Fund” so we can set it aside for this crucial cause. 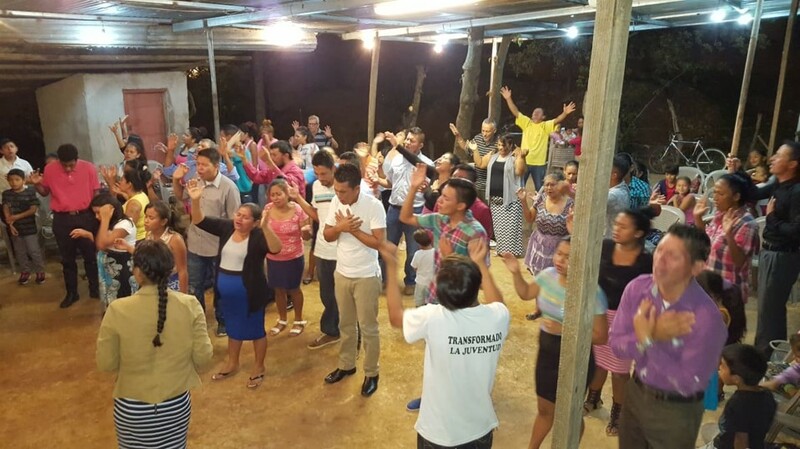 Because of your generosity a church in Honduras will soon be blessed with a building! At our Harmonies, Hot Dogs & Honduras event we raised $1,800 for the Honduras Building Fund. A generous anonymous donor has pledged to match all gifts until the end of August up to $30,000. The event earnings along with all the other gifts from this month brings our total to $16,464! While $30,000 doesn’t sound like much to us, that amount will build a permanent, weather-proof structure for these believers to worship in. They are very grateful!